Soldiers did not come alone. In the past, wives, mothers, fathers, grandparents, sisters, brothers and children of the fighting men have been given secondary treatment. In Loyalist Refugees, they are the subjects of a study describing the systematic persecution that forced so many to seek refuge in Quebec. How these unfortunate people were housed, fed, clothed and employed is examined, as is their desperate unhappiness and discontent. This book identifies and lists details for more than 2,000 non-military loyalist refugees who sheltered in lower Quebec during the American Revolution—pointing researchers to crucial primary and secondary sources in Canada, the USA, and the UK. Many if not most of these refugees migrated to places across British North America and beyond, after their period of sanctuary in Quebec. Chapter One: Why Refugees and Why So Many? Chapter Three: What to do with the Refugees? "According to the introduction in his book, Gavin Watt has found no published names of Loyalist non-military refugees to the province of Quebec. He finds plenty of references (and lists several ) to the fighting men who migrated to lower Quebec, but he has found no master list of the wives, mothers, fathers, grandparents, sisters, brothers, and children of the fighting men who were compelled to leave their homes for the safety of Canada...so Mr. Watt compiled one." "Mr. Watt provides a description of how to interpret the Refugee Roll, what the various abbreviations mean, and explanations of the data offered." "This looks to be a reference every Loyalist researcher should have." In February, I was doing a project for a client and had cause to do some extensive research in the records of the refugee camps at Machiche, Sorel etc. at the National Library and Archives. They are not easy records to study, so I can really appreciate the amount of work which went into your most recent book. Congratulations on producing a fine resource. "...a good resource for genealogists researching their Loyalist ancestors, especially those who settled in Quebec. The book also includes maps of refugee communities east and south of Montreal and in the vicinity of Montreal." Announcement of a new book by Gavin Watt to be released in May, 2014. This book looks great; I can hardly wait to get my copy. 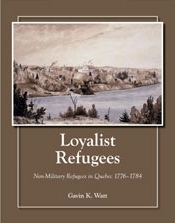 With his latest publication, Gavin K. Watt has charted new territory as he notes at the beginning of the book, To my knowledge, the creation of a master list of non-military loyalist refugees who sheltered in lower Quebec...has not been attempted before. (p. 3) There have been many publications focusing on the fighting men, including several by Gavin, but in striking out in this direction, Gavin will enable researchers and especially genealogists to fill in some of the gaps. The refugees listed within the pages represent a diverse lot. Certainly there are the wives and children, but there are also men. Often these men will be elderly or unable to fight for one reason or another. Numbers of men who did fight are listed as well, because this book represents a snapshot of a time period. It’s broader than a Muster Roll would be, but there would have been some men who appear for a time, and then were located elsewhere, perhaps back into the ranks. Roughly the first one hundred pages are set aside to give the reader an overview of the refugees’ situation during the course of the War. The hardships and dangers faced by the women and children will perhaps be eye-opening to the reader who has not delved too deeply into that part of our ancestors’ story. The rest of the book is a Refugee Roll containing a range of information. What does this book offer especially for those in our Branch who have Loyalists who settled in the Quinte area? 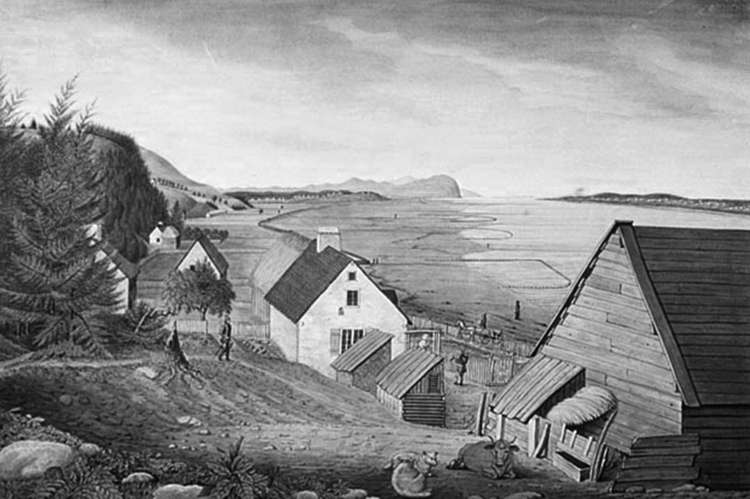 Many Loyalist families who did come here had endured periods of time, even years in refugee camps in Lower Quebec. Furthermore our Associated Loyalists of Adolphustown wintered over 1783 at Sorel so they are included in the book. Let’s consider the Refugee Roll by looking at some sample entries. Under Susanna SIMMONS we find the one source is “P16”. Sources are coded in this manner and the source descriptions are listed by code towards the end of the book. 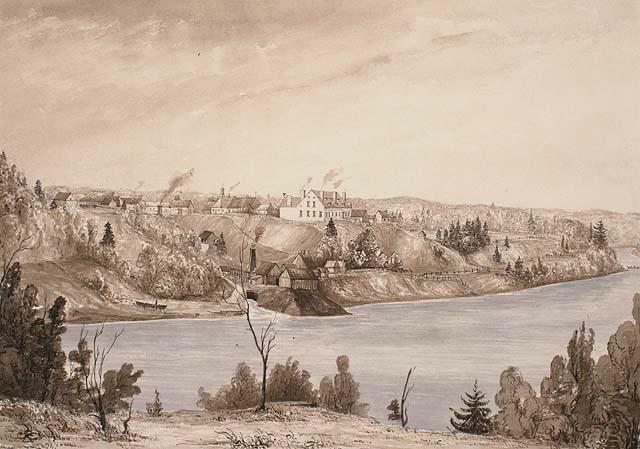 In this case the source was a Return of Unincorporated Loyalists Victualled in the Province of Quebec...24th Jan’1784. (p306) The family included two males over six years, and the location was Coteau-Du-Lac. Under “Remarks” Gavin has noted Bateau Service. 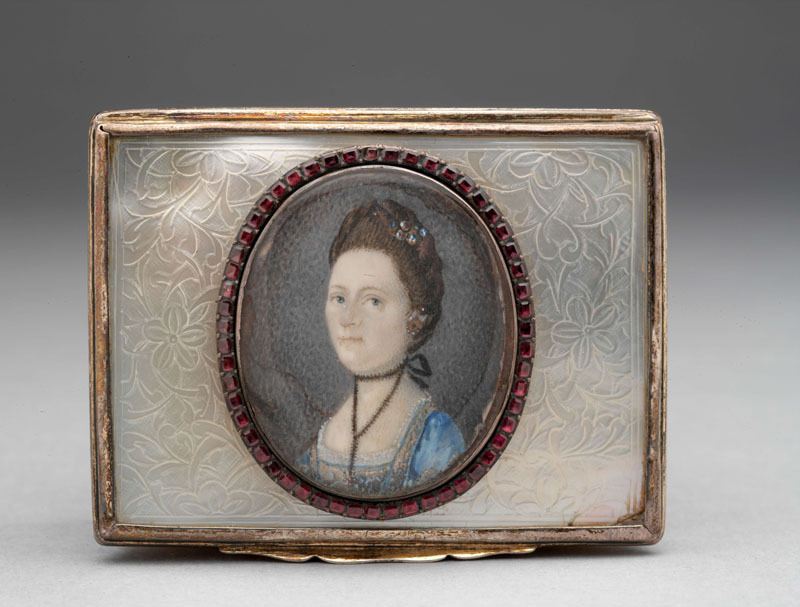 This leads me to suspect that this woman was Susannah TREBER wife of Henry SIMMONS of Herkimer’s Bateau Coy, (as opposed to Lt. Henry). An older couple, she was dead by 1803 and Henry no later than 1812 in Murray Tp. Northumberland Co. The entry for Susannah is one of the shorter ones, but it does include a first name for the woman, which is not always the case. Another one destined for settlement in the Quinte area was Matthew BENSON. Despite arriving rather late with the Associated Loyalists (Capt. Peter RUTTAN’s Coy 6), out of New York City in 1783, his name does turn up in several identified sources. He had a wife and several children and stayed in Sorel before settling in Adolphustown in 1784. He was a blacksmith and what research beyond this book tells us was that he also had previous military service in the King’s Orange Rangers. As you can see the extent of the information and its detail will vary greatly from entry to entry. At the very least it will give you a sense of what your Loyalist ancestors experienced and some idea where they were settled at different times during the course of the Revolutionary War. This is certainly a wonderful resource book for those who had Loyalists not only settled in refugee camps in Quebec during the War, but also for those who ended up in the Quinte area.